A normal person looks at an egg and thinks “breakfast.” As a homesteader, I look at an egg and think of all the various ways I can use the shells in my garden. I am a huge fan of repurposing common materials around the homestead. I believe that, in doing so, I can not only reap all the potential benefits of a given item, but also reduce my family’s contribution to the local landfill. Environmentally-friendly and money-saving at the same time? Yes, please. Eggshells contain tons of calcium carbonate, which is a necessary nutrient for your soil. You can add finely ground eggshells to the base of your plants after they have already been planted, or even brew ground eggshells down into a nutrient-dense tea (much like compost tea). Eggshells’ nutrients are beneficial for all plants, but especially for plants like chives, which require additional calcium in the soil. There are quite a few creatures that don’t love eggs quite as much as we do. A thick layer of eggshells in the garden can keep several pests away, including insects and even some mammals. Slugs and snails especially hate eggshells, which are too abrasive for them to slide over. To use eggshells in the garden, simply sprinkle them around the perimeter of your garden. The jagged edges will help keep the creepy crawlies away! Here’s an old homesteading remedy that can really boost your houseplants! Place all of your dried, used eggshells in a mason jar filled with water. Let them sit there for a few days, allowing them to steep. Then, you can strain out the eggshells and use the water to hydrate your houseplants. This is especially beneficial for plants that haven’t been recently repotted. The calcium in the water will give them a great dose of nutrients! If you’re looking for a more well-rounded brew, you might also consider adding coffee grounds and a banana peel to this mixture. It probably won’t look too appetizing, but the mixture created in this “tea” will contain perfect ratios of nitrogen, potassium, and calcium to boost your houseplants’ growth. Eggshells are completely biodegradable, as you likely already know, and make fantastic zero-waste seed starters. If you’ve always relied on plastic trays to get your seedlings going in the late winter or early spring, you might want to consider making the switch to eggshells to cut down on some of your waste (and unnecessary expenses). To do this, it’s important to know that you must use only sterilized eggshells. Luckily, this is not difficult to do. Simply save some of your half-shells that are deeper, and bake the pieces in the oven at 250 degrees for about twenty minutes. If you want to cut down on waste even more, you might want to wait until you actually need to use the oven (for example, to cook dinner), and then put the eggshells in afterwards, as the oven is cooling down. After the shells have cooled, use a nail or needle to poke a hole in the bottom of the egg. This will help with drainage. Add your potting soil and chosen seeds, and then take care of your seedlings as you normally would. The only difference will come when it is time to plant – instead of having to pry the seedling out of the plastic starter tray, risking damage to the roots, you can go ahead and plop the entire seedling, shell and all, into your planting hole. Read more about starting seeds indoors here. Just like people, birds can benefit from extra calcium in their diets. This is especially true for female birds who need a bit more calcium before and after they have laid their calcium-rich eggs. If you have chickens and are hoping to boost your egg production – or strengthen the shells of your hens’ eggs – you should consider using egg shells as a supplement. It will eliminate the need for you to buy expensive oyster shell supplements from the feed store. To make a calcium-rich bird food, simply sterilize the shells in your oven just as you would for any other purpose. Using a mortar and pestle, grind the shells into fine pieces. You can then mix the supplement with your favorite seed or put it in the bird feeder on its own (although the birds will be more likely to eat it if it is mixed in something else). For chickens, you can feed the supplement on its own, put it in their feeding trough, or even include it as an ingredient in homemade suet cakes. Eggshells make a fantastic addition or replacement for mulch in or around the garden. You can use it to help deter weeds and provide an accent piece around your borders or between your plants. You can even add eggshells to your compost pile. 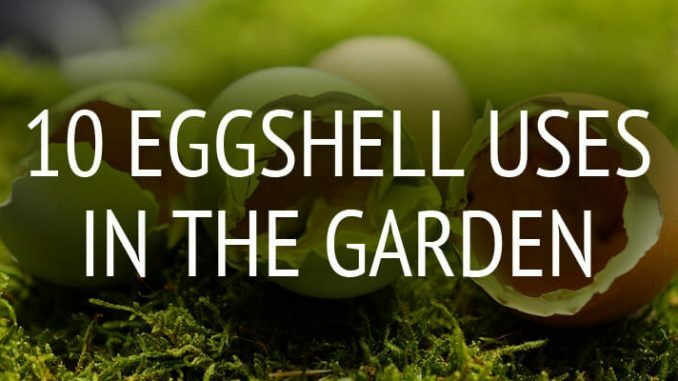 This is perhaps the easiest solution to getting rid of an overabundance of eggshells, as it will add a nice dose of calcium to the compost that will eventually become your garden – without you really needing to do anything at all. Deer hate the smell of the albumen found in eggshells and will stay far away, reducing their desire to come and nibble on your precious plants. One thing to keep in mind is that while deer and many other creatures hate the smell of eggshells, there are a few, like rodents, like albumen. Be careful using the shells as a deterrent anywhere you don’t want rodents, as you could invite in these unwanted pests. As was already mentioned, crushed eggshells help provide a powerful dose of nutrients to your plants. However, you should consider using them specifically for plants like peppers, tomatoes, and eggplants. This is because these plants are prone to a disease known as blossom end rot, which is the end result of calcium deficiency in the soil. Calcium deficiency can also be caused by poor water practices, but you won’t be doing your plants a disservice by being proactive and including eggshells in the planting hole. As the shells break down, they will supply your plants with a good source of fortifying nutrients. Eggshells also work quite well on cutworms, which can have a serious impact on seedlings as they sever their stems at soil level. Because cutworms, snails, and slugs all have soft underbellies, they dislike moving across anything sharp. Crushed eggshells applied on the surface of the soil definitely fit this bill! It shouldn’t come as any surprise that eggshells are chock full of nutrients. After all, eggs need to have plenty of protein, minerals, and vitamins to support the early development of a baby chick from just a single cell. The average person consumes over a hundred eggs a year – don’t add extra, unnecessary waste to the landfill if you can repurpose your eggshells in a different way! 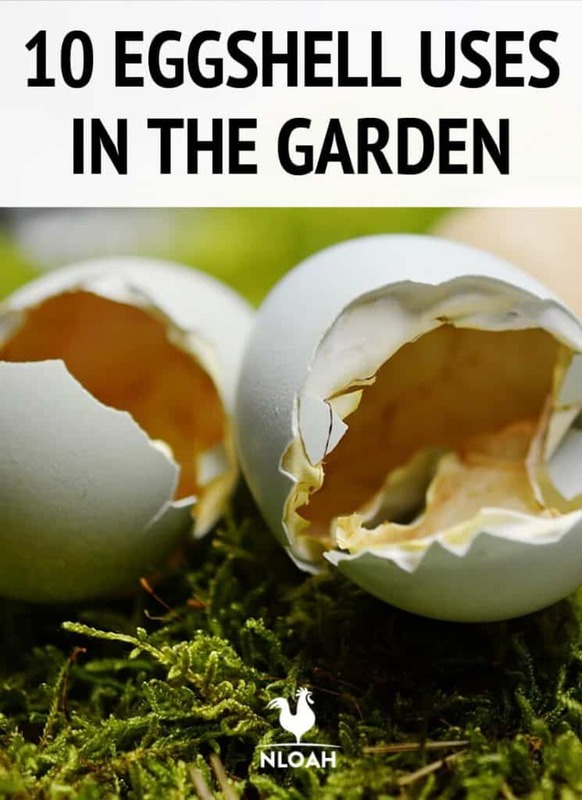 Incorporate one of these genius tips to extend the life of your eggshells, and your garden will definitely thank you. Can you use hard boiled egg shells?